Javier Duarte, former governor of the Mexican state of Veracruz, leaves the Supreme Court in Guatemala City on 19 April. Mexico has asked Guatemala to extradite Duarte, suspected of embezzling hundreds of millions of dollars. While most people think of Syria or Iraq as the deadliest places on the planet, Latin America has recently fought its way into the conversation as the global epicentre of deadly crimes committed outside war zones. In 2015, 43 of the world’s 50 most dangerous cities were located in Latin America, according to Business Insider, concentrated in Brazil, Venezuela, Mexico, and Central America, especially El Salvador and Honduras. One-third of the world’s murders now take place in this region, making homicide more likely there than anywhere else. Untold thousands have been victims of organised crime, especially by powerful Mexican drug cartels. Estimates range as high as 200,000 dead due to organised crime in Mexico alone. Mexico’s “hot spots” for drug violence cluster in the northern borderlands and the cities situated along the border with the US. Drug-trafficking cartels refer to these border cities, such as Tijuana, Ciudad Juárez, and Matamoros, as “plazas” – highly prized points of access to the enormously lucrative US drug market. The billions of dollars at stake have thoroughly corrupted the “plaza” governments and fund frequent heavily armed street battles. Since the violence spiked in 2006, it has left behind beheaded bodies in parks, disembowelled corpses dangling from overpasses, and mass graves in the desert. ‘No More’, the sign translates, as protesters gather in Monterrey following the murder of Mexican journalist Javier Valdez in May. This bleak picture is belied by the region’s supposed piety – deep roots in the Christian faith that go back 500 years. Sixty-nine per cent of the region’s 690 million people claim the Catholic religion as their own. Another 19 per cent identify as Protestant, according to the Pew Forum. Mexico counts over 90 per cent of its population as Catholic. Though the violence is not constant, the perpetrators of violence – and thus the threat of it – are ever present. This social saturation of violence and religiosity means that threats, both real and imagined, have penetrated local churches. Pastors have been victims of extortion schemes. Some have had their children kidnapped for ransom. One church in an especially hard-hit area northeast of Ciudad Juarez has had several leaders murdered. While the national trends in Mexico’s generational struggles with organised crime are not good – impunity and corruption are entrenched and Mexico is nearing new homicide records in border cities – there is cause for hope. And it is coming from a few local religious communities who refuse to accept the status quo of violence and fear. The three networks “Messenger Angels” of Psalm 100 church, Thrive Without Bribes, and the Movement for Peace with Justice and Dignity are each born out of churches and work in different strata of Mexican society to fight the violence with ideas and practices pulled from the Christian tradition. These Christian activists are separately innovating in civil society in order to push back against the tide of violence and to strengthen their communities through new laws, accountability for leaders, education and training, and targeted protest evangelism. The Messenger Angels are based in the youth group of the Psalm 100 church, a very poor, non-denominational, evangelical church in one of the poorest and most violent zones of Ciudad Juarez. The Angels focus on performance art and evangelism through their weekly demonstrations on the sites of murders – sometimes while the bodies are still present – holding anti-cartel and anti-violence signs while dressed in striking angel costumes. They have been challenging cartel hitmen and drug lords by name since 2010 and have received international media coverage as a result. Thrive Without Bribes is tackling the problem of the resignation surrounding Mexico’s culture of corruption, signified by the wry Mexican saying that “He who does not bribe does not thrive”. TWB rejects this on theological grounds, and works with educational institutions, businesses, churches, and political leaders on training in how to build people and institutions that are resistant to Mexico’s culture of corruption. The Movement For Peace is a mass-demonstration project with national and international reach, founded in 2011 when celebrated poet and progressive Catholic Javier Sicilia’s son and six friends were murdered by cartel hitmen and dumped by a roadside. Sicilia famously abandoned poetry in 2013 to focus on the problem of violence. He has used his celebrity and the tragedy to drive the national conversation around legislation on impunity and government accountability, and to attract international pressure. That these religious voices are emerging at all is significant and that they are emerging in civil society is noteworthy for a couple of reasons. Firstly, Mexico’s democracy has never been on solid footing, and so civil society has also been anaemic and unstable there. Compared to peer nations in the Western hemisphere, Mexico lags badly in indices of civil society and voluntary citizen associations. Some of this is due to the lack of security. But political institutions are weak and police and courts do not protect vulnerable citizens. The people do not trust the rule of law, which has made voluntary, civic behaviour – taken for granted in other developed democracies – risky and unrewarding in Mexico. But Christians (and people of faith in general) have a different set of incentives for their behaviour that come to the fore in times of hardship. When Thrive Without Bribes (TWB) began experimenting with its work to “make hope tangible” in the violent zones of Ciudad Juarez by beautifying blighted buildings and posting encouraging murals, local residents couldn’t believe they weren’t from a political party. Unless it is for political patronage, no-one invests in local communities in Mexico with nothing to gain. In the eight years since he and his church began experimenting with civil society activity in their neighbourhood, Valles has developed his programme and network into an anti-corruption training programme that now has reaches into major metropolitan regions and even state legislatures across northern and central Mexico. Secondly, religion has for centuries been a chaotic – even dangerous – force in Mexican public life. Religion was involved in the dozens of coups in the years after independence. So, Mexico fought several very bloody wars in the early 20th century to domesticate the Catholic Church (and minority faiths by extension) and to force religion to the margins. After decades of enforced secularism in the mid-20th century, organised religion has remained outside the elite political conversation. 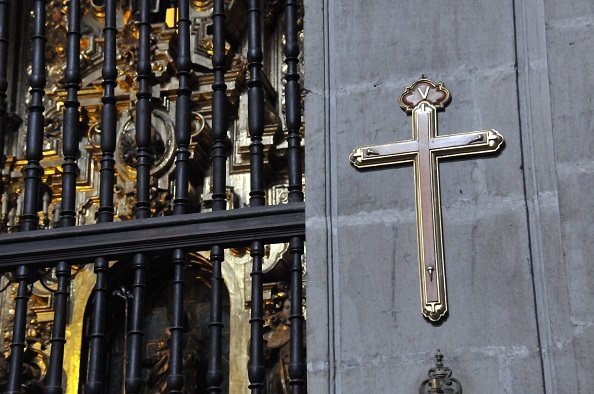 It is only in recent years, with the rise of global civil society, that religious actors have begun to speak from their religious ethics about how to shape Mexican politics. Javier Sicilia has spoken a great deal about the role that religion and his faith has played in his work of holding the government accountable from a religious point of view. Javier Sicilia cries during the 2011 March For Peace And Justice in Mexico City. His son and six friends were murdered by cartel hitmen and dumped by a roadside. Sicilia has leveraged the moral authority of his son’s death and his celebrity to meet in person with sitting and former presidents, but his faith is the lynchpin. Finally, these voices are important because they show a diversity of class, politics and theology can be effectively brought to bear within an overarching Christian framework to address a crisis. Sicilia is on the left of Mexican politics but is pedigreed from the heart of its religious and cultural elite. 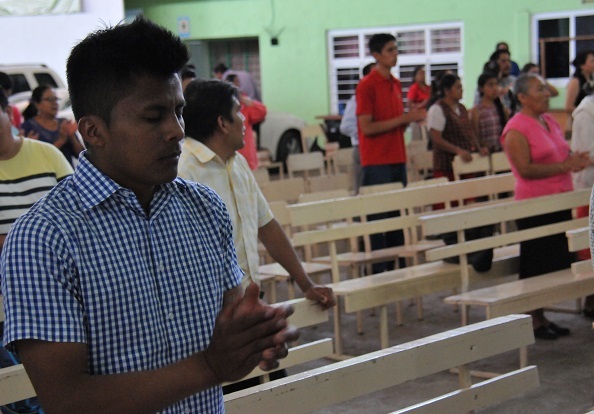 Thrive Without Bribes and the Messenger Angels are small, evangelical projects, which have to hustle for their access and face prejudices of theological illegitimacy and religious “otherness” in overwhelmingly Catholic Mexico. Nevertheless, these groups have created examples of religious expression in a political and social environment that is inhospitable and potentially deadly. Indeed, it has killed their friends and families. While these Christian civil society activists are doing remarkable work, it is important not to overstate their impact. These are real but incremental advances. And they are taking place in the face of real threats to life and person. Mexico has a long, difficult – and probably bloody – road ahead if it is to move past this crisis of violence. But based on my five years of research on this problem and their work, it is evident that these Christian activists are some of the most valuable allies the Mexican state, Mexican democracy, and their local communities have. And every effort should be made to encourage, protect and replicate their work in other cities afflicted by this plague of violence. Dr Richard A. Potts is a professor of political science at Concordia University Texas and a senior editor for The Media Project.